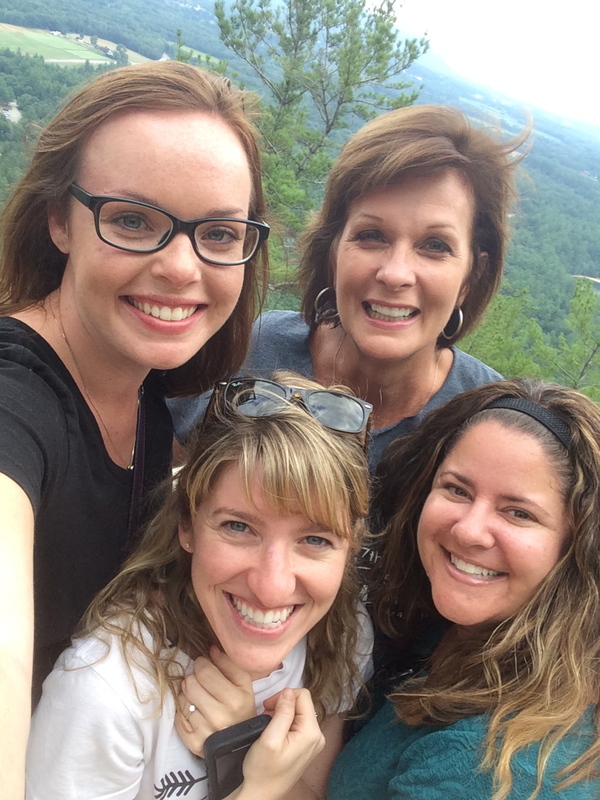 This week, the writers of Three Teachers Talk are together in Durham, New Hampshire at the UNH Literacy Institutes. For five days now, we’ve learned with Penny Kittle and Tom Newkirk about strengthening our practice and our thinking. Newkirk’s class, centered around his Misreading Masculinity (2001), is focused on boys and literacy. We’ve read and discussed issues of violence, humor, personality, sexuality, power, and more–all surrounding boy readers and writers. Join us to continue this conversation on the topic of poetry. The four of us will be together in Portsmouth, ready to chat on Monday at 8ET. 1. 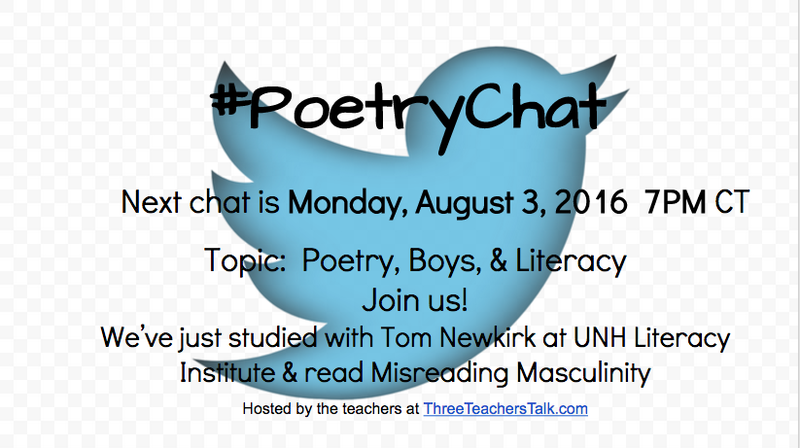 How do you notice your boys responding to poetry in your classroom? 2. Should boys write poetry in an English class? 3. How is poetry uniquely valuable for boys? 4. How do you hook boys into poetry? 5. What are your best poems, poets, or poetry resources to engage your boys? I won’t be available for the chat; however, I will leave these thoughts. 1.I had a 5th grade boy thank me for having write poetry because it gave him a way to tell his family about things going on in his life. 2. You have not lived until you overhear a peer editing/revision session of 5th grade boys arguing about line breaks. 3. 5th and 6th grade boys quoting other poets when I asked about things they had written for class. 4. NH has a contest for 4th graders from The Frost Farm. The last year I taught, one of my 4th grade boys was a regional winner. So yes!!!!! Poetry belongs to boys!! Ruth, I remember you read some of your students’ poems at the Frost Place last summer. So tender, funny, insightful! I love your #2 above. Just imagine the possibilities!